Kofi Annan, former Secretary General of the United Nations. If any of you or your friends have been afflicted with a mental illness, you know how much it costs to get help. Not only is one visit a specialty fee, it’s not the same as going to a regular specialist and coming back for a six-month check-up. Mental health care involves multiple visits, sometimes twice a week, for an indeterminate amount of time. The caveat of caring for people suffering from a mental disorder is that it cannot be measured by machines or visualized. The brain, and its function to control emotions,is not tangible.Diagnosing depression, anxiety, or any of the other multiple maladies of the mind must be made based on subjective symptoms, often nebulous, and sometimes manipulated by the patient to serve his or her own needs. By default, the worse the condition, the more intense care is needed, both counseling and for medications, and the more expensive the care. Even with insurance, these costs add up quickly, and can be either difficult or impossible to pay. Consider how a low-income level affects the ability of a person to receive adequate care. The answer to the question of which comes first is complicated, but whichever factor enters a person’s life first, the relationships between income level and mental health care can be inextricable. Studies have shown that people who live in poverty are at a greater risk for developing mental illness, their illnesses are worse, and the illnesses lasted longer than for people of better financial means. Poverty does not have a clear-cut definition; it has a multifaceted one involving income, socioeconomic status, community conditions, immigration status, access to health care, cultural biases, employment status and education level. Poverty is one of the most important factors affecting physical and mental health, and all the sub-factors that define poverty intertwine to create the bigger picture. Poverty’s effect on mental health care is wide-reaching. What a daunting task to unravel the pieces of this puzzle to afford people adequate care, to which every individual is entitled. The poverty/mental health connection doesn’t always start in adulthood. A poverty situation for children can be devastating as it can create conditions that may last a lifetime, requiring a lifetime of care. Factors related to poverty as a child, such as poor nutrition of the child or poor prenatal care of the mother, can be the cause of physical changes in the brain that, in turn, can result in cognitive, developmental, and attentional issues.These problems can lead to academic and behavioral issues in school and higher rates of delinquency and mental health disorders, even suicide. How do we stop this cycle of destruction? We must, somehow, because these children grow up to have mental health needs, are added to the people with adult onset mental health problems, and what we have is a population plagued with crime, drugs, other risky behavior, and homelessness, all being served by an overloaded mental health system. 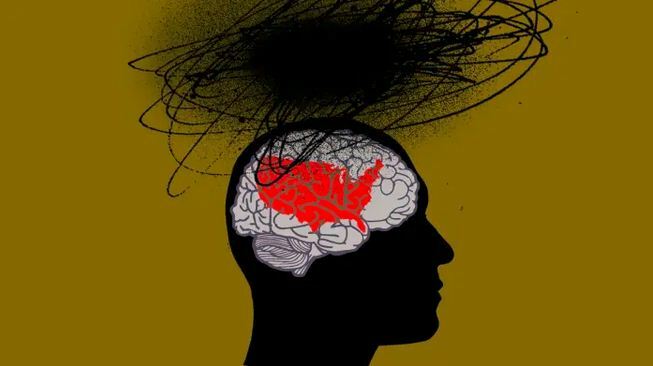 Many psychiatrists are poorly trained in poverty and its mental health implications, and some don’t want to screen for it because they don’t know how to deal with the answers. However, this is where it should be started, at the very bottom level of the mental health care system: the office. We can’t help people if we don’t have a complete picture of the issues contributing to the problem for which they are there, and a means of dealing with the uncomfortable answers.